I am entering my daily art in Paint Party Friday and I want to thank everyone that stops by and leaves me their comments. I do try and return them and I hope I didn't miss anyone!! 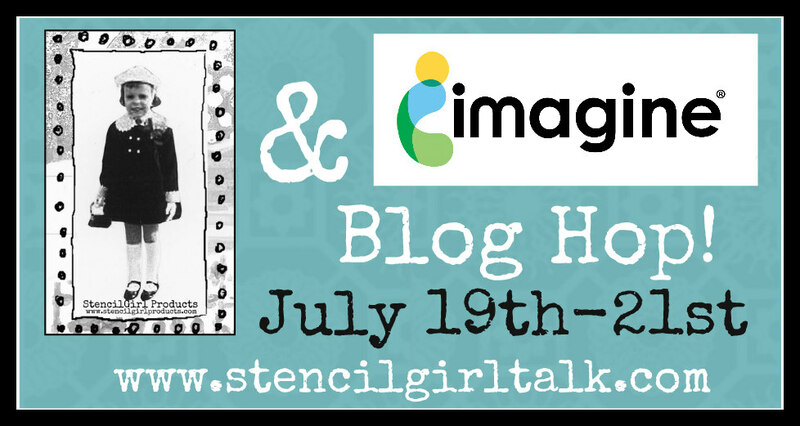 So, I would love to hear your thoughts again this week!! Got a favorite, let me know! This last one has been a real struggle for me, I guess because it's a landscape and as much as I love doing landscapes, they don't turn out the way I want them to...but I keep trying. I worked from the photograph I took back in Nov. 2016...I tried to do it "plein air" style back then but that was trashed and I decided to try again. I had a friend visit me, and we went to see The Little Mermaid play and had a fabulous fancy dinner complete with what seemed to be our own personal Harpist since she was playing right next to us. their on sale right now too...just saying! 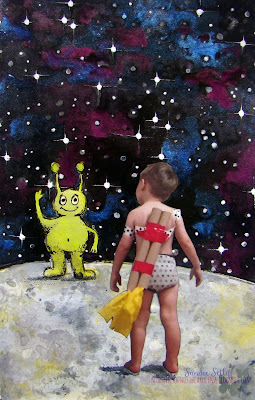 I hope everyone has a lovely and art filled week-end! 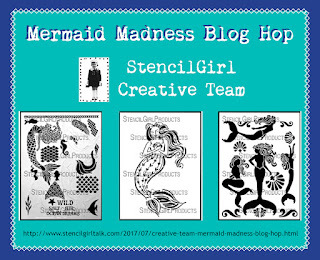 "I can hear the mermaids"
"A boy and his dragon"
June Pfaff Daley, one of the StencilGirl designers asked if we could make an ATC to trade with her kids at art camp. Of course I wanted to!! 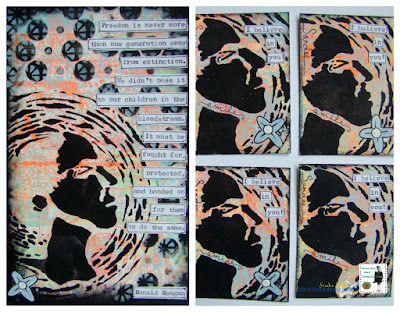 I am thrilled anytime I get to participate with children so I made her 4 ATCs and I also made myself an art journal page to go along with the ATCs I made to commemorate the experience. I love the Brushtix for stenciling and used them recently (3 different ways!!) when I made my ATC booklet. I made a video of the booklet itself and you can see it HERE. AND I made a video of me cleaning my craft mat...lol. Have you ever seen someone so excited to clean a mat off? 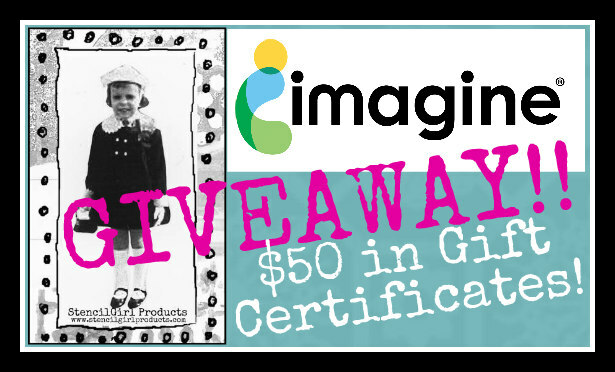 AND a $25 Gift Certificate to Imagine Crafts! 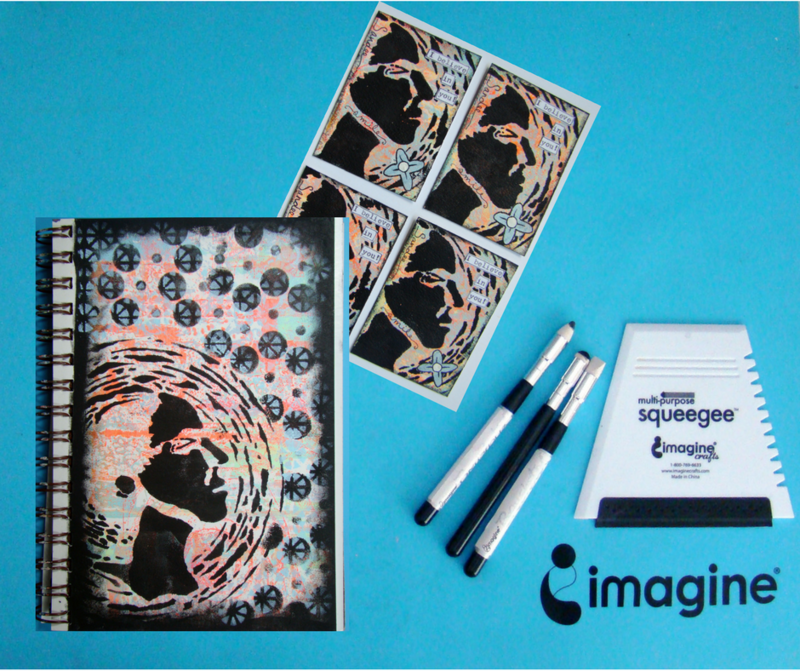 300 gsm - 100% rag - surface sized - matt, rough and hot pressed block to play with. If you have never painted on a block before, the Pads are glued and gauzed to ensure flatness when wet. 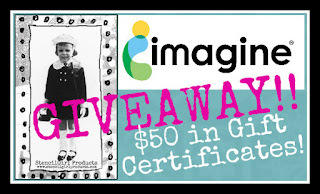 This makes them especially suitable for wet painting techniques like watercolor – especially when you are using techniques like glazing and/or color washing. I used my ColourArte shimmering iridescent H20s twinkling watercolors to create this superimposed piece of art. I loved the that the surface sizing allowed me to easily correct their mistakes, like I had to on the seagulls that I painted in the sky. But after the video ended I went back and "lifted" out the mistakes and was able to correct them...well, at least to the point where I liked all three much better now! Now, honestly, I don't know a whole lot about watercolor papers but I loved painting on the Matte surface! Matte surfaces are used for delicate paintings and are suitable for beginners because of their slightly irregular surface that impacts only slightly on brush control and paint flow. These surfaces can be recommended for all watercolour painters who like to work with fine details. 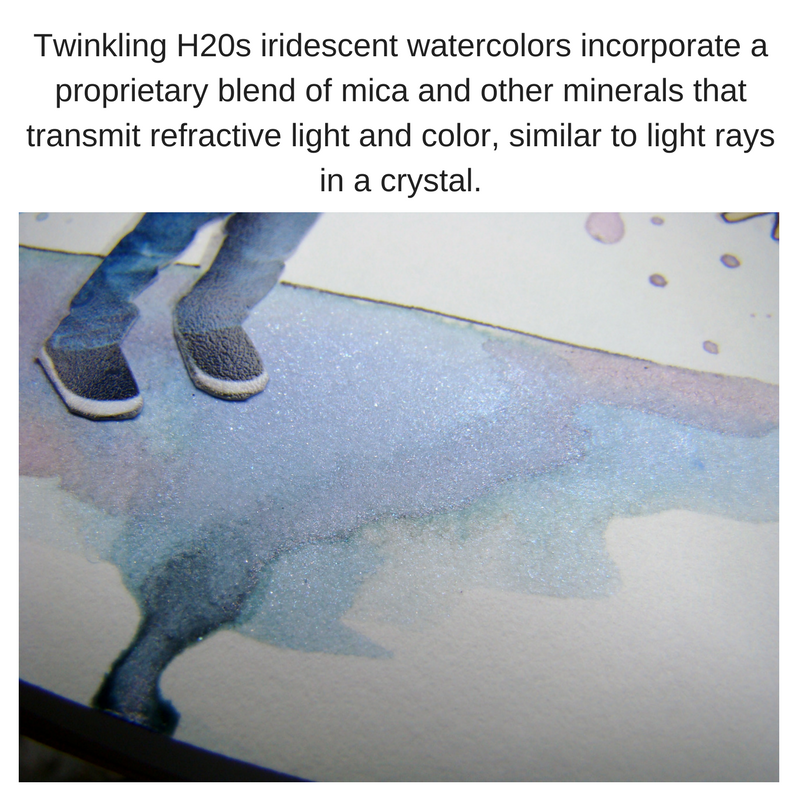 Users can obtain full brush strokes in the wet in dry technique and even glowing colour gradation using the wet in wet technique. I am now 2 weeks into doing a watercolor every day and have achieved it so far, puttering away with my ColourArte Twinks. I'm still enjoying working on my latest series called "Pierson's great adventures" where I cut out a photograph of my grand-nephew and superimpose him into a surreal background that I watercolor. The astute will notice there is 1 day missing, I needed to paint something specific for another challenge so I'm leaving it out of this post...however you can see what I did here and make sure to check out my new Hake brush, if you've used one before I would love to know your thoughts on it! 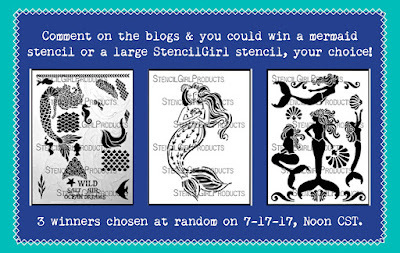 I did a Mermaid blog hop with StencilGirl, and we have a prize, so hop along if you want and start here so you can see what I made! 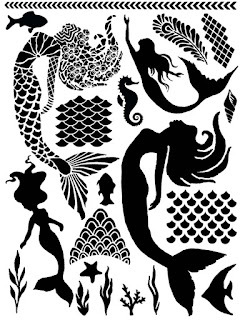 I love me some mermaids, oh yes I do! 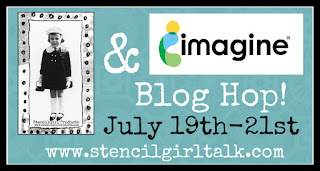 Jessica Sporn has designed some fabulous stencils for StencilGirl and you can find all her awesome designs here. Little Eddy Rose created by the awesome MaryBeth Shaw. 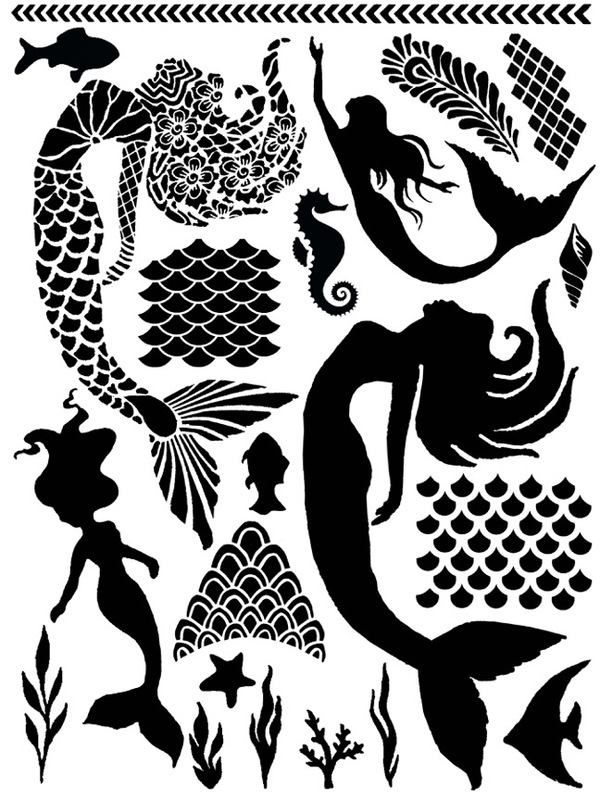 Look at all the different shapes and designs you get on just one stencil! that's the real me in all my messy mermaid glory. 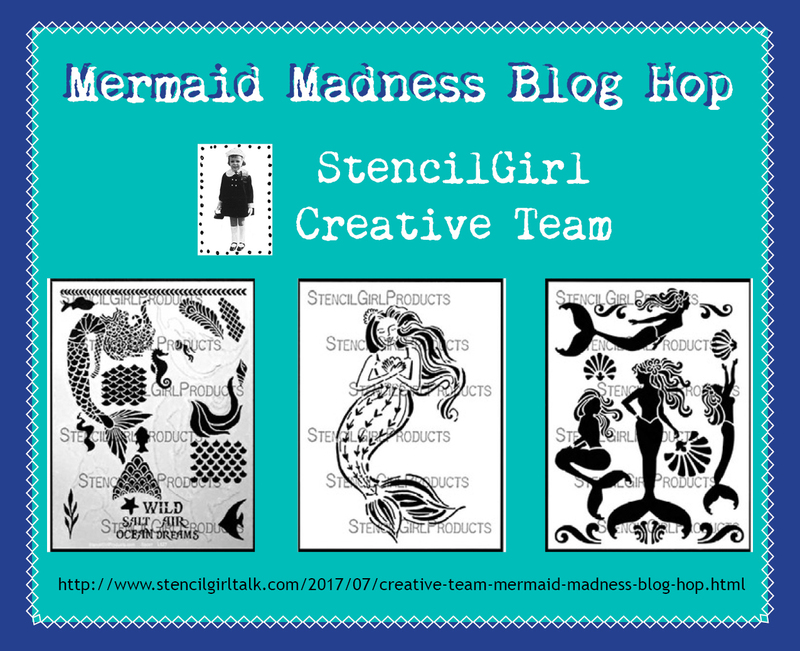 I also created an Americana mermaid and you can swim on over and check out the video I made and all the other mermaids that our fabulous design team came up with HERE! Comment on this blog or any of the others by noon CST on 7-16-17. 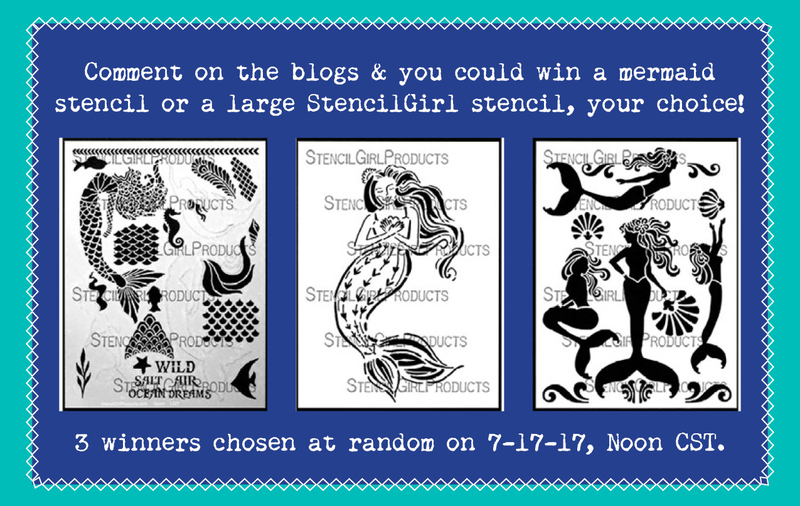 Winners notified by email on July 17th. Good luck! 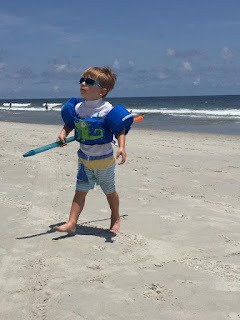 Picking back up on Pierson's Great Adventures, this time we find him preparing to go to battle against a giant octopus only to discover that he needs a much bigger water-gun to fight this guy! But never fear, he will be back! 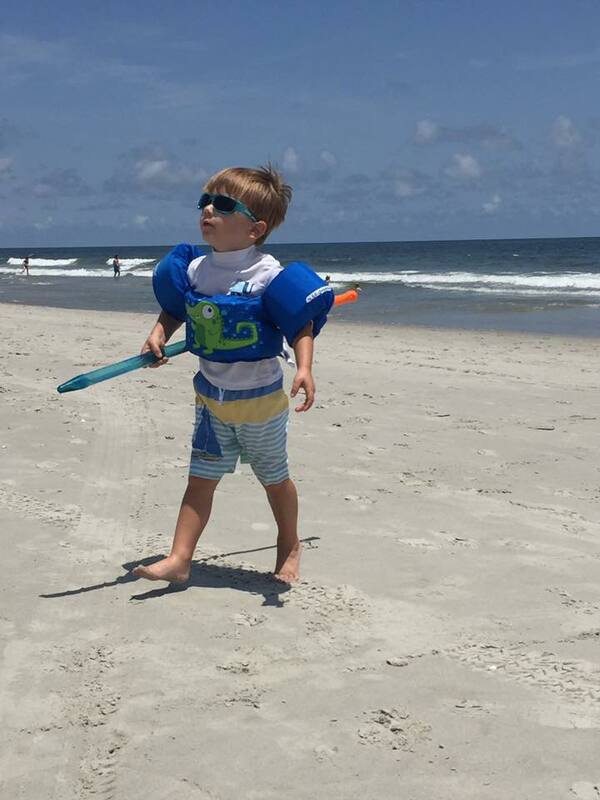 I love this picture of Pierson, he looks so confident for a 3 ½ year old! 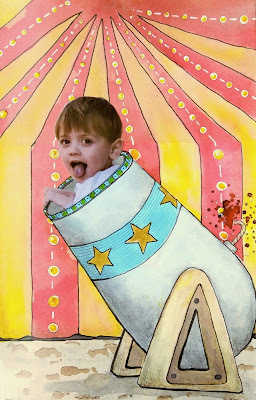 Painted with my ColourArte Twinks , of course! Funny thing is, I actually had another one ( a different style ) but didn't know what to use it for, I do now! WATERCOLOR!! A hake brush is an oriental-style wash brush on a long flat handle. It is useful for laying in large areas of water or color, for wetting the surface, and for absorbing excess media. We sat outside to eat our lunch and to sketch some. 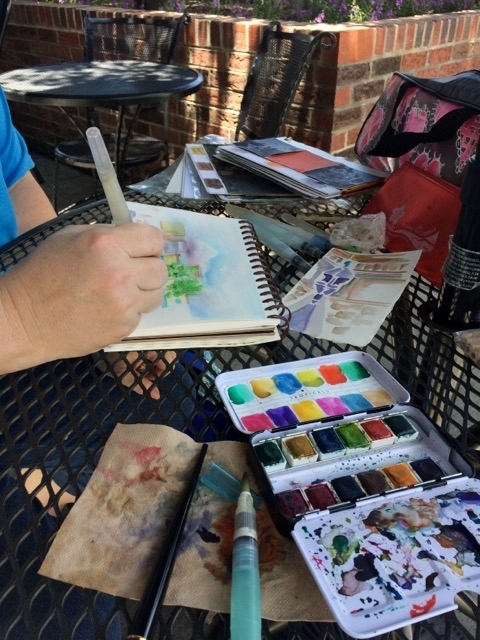 I knew I needed to do the Summer Skies prompt for the Angela Fehr challenge and thought doing a street sketch with the sky in the background would be nice. #WorldWatercolorGroup day 7 "Leap Frog"
I see all these "loose" watercolors and I try, I really do, but I end up using my watercolors just like acrylic paint. I think it's like the old adage of trying to learn to play golf and tennis at the same, they don't mix because of swing fundamentals. 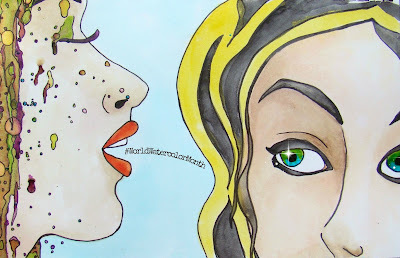 So, I am going to back away from painting with acrylic paints and try to focus on watercolor...at least for 24 more days. Meanwhile I am linking up to Paint Party Friday and I thought I'd show off my first week of #WorldWatercolorGroup month. 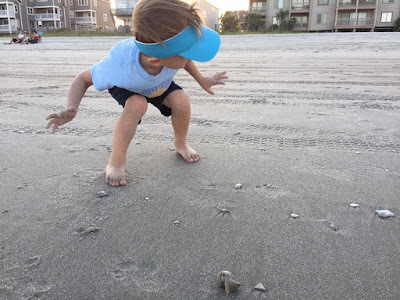 For those just seeing them, these are photographs of my 3½-year-old grand nephew who strikes the most interesting poses, well, at least to me they are. 😜 I always see something "extra" in them and I decided to finally do something about it by cutting them out and superimposing them onto surreal backgrounds. day 1 "Take me to your leader"
day 4 "It's raining cats and dogs"
day 5 "Riding the curl"
So far, I am having a blast and will try and do one each day this month. #WorldWatercolorGroup day 6 - "3 wishes"
I guess that would be my expression too if I had a genie by its tail! #WorldWatercolorGroup day 5 "Shooting the curl"
Water is one of the hardest things for me to do, but I kinda like how this turned out. I was trying to capture the mercurial power of the ocean and looked at tons of photos in an attempt to emulate them. His mom said he was looking at a crab that was on the beach but all I could think of was he's surfing! Here's "wishing" you come back to see day 6! #WorldWatercolorGroup - day 4 - "Raining cats and dogs"
If you've never tried ColourArte's H2O's then you are missing out. I love how they just sparkle, but not like glitter sparkle....more of a shimmer. #WorldWatercolorGroup day 3 - "Magic Forest"
#WorldWatercolorGroup "Rock On! little dude"
#WorldWatercolorGroup "Take Me to your leader"